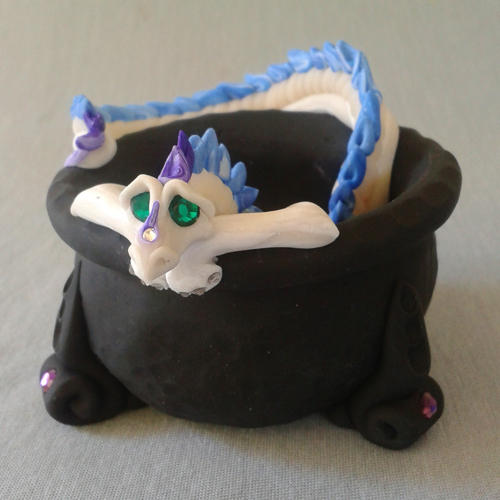 Now here's a thought... a tiny Dragon, exploring the Enchantment Workshop... climbs in a cauldron where quite naturally, the lovely aromas of the Fynest Incense in the Realm are merrily wafting out and around the curious little tyke! 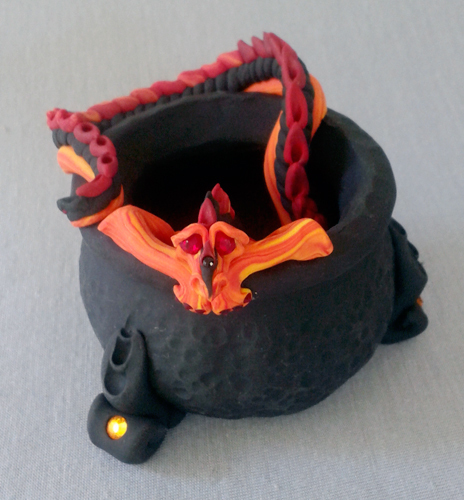 A small Brass Incense Burner is implanted in the bottom, waiting for you to enjoy your Favorite Scent! 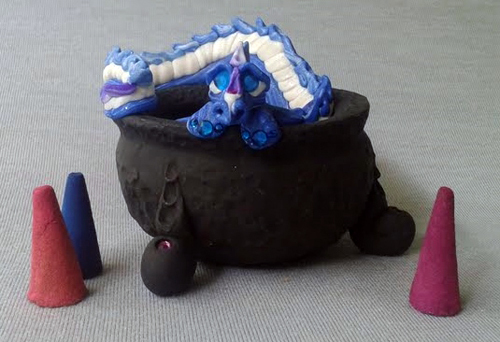 More pix coming soon. 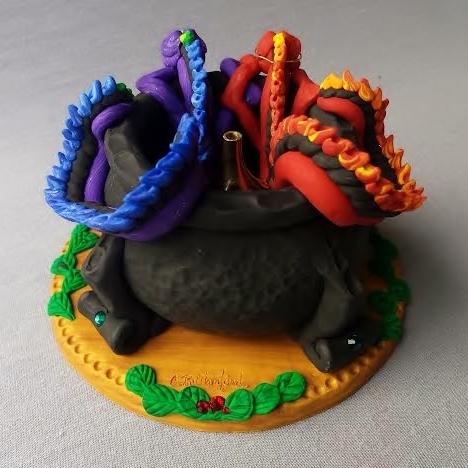 To view all colors go to "The Fledgling Dragons"
*If selecting "other color" type in your own color(s) in the "Comments" Box within the order page! 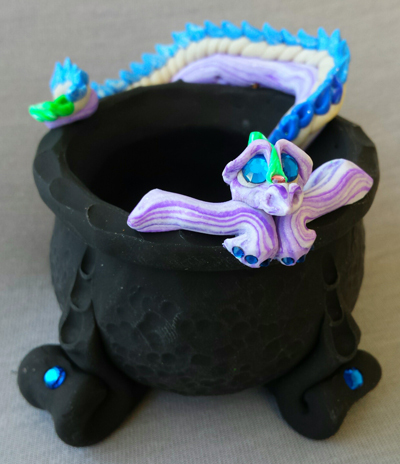 Click on any of the Dragons for a close up view! 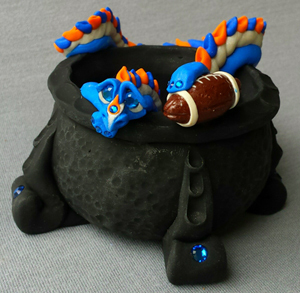 This is a client's recent Request combining his passions for Dragons, Incense and the Miami Dolphins! 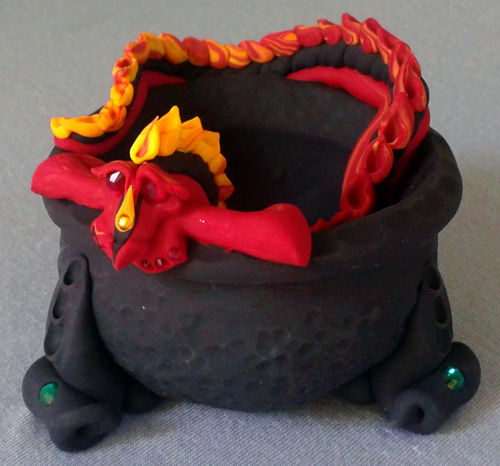 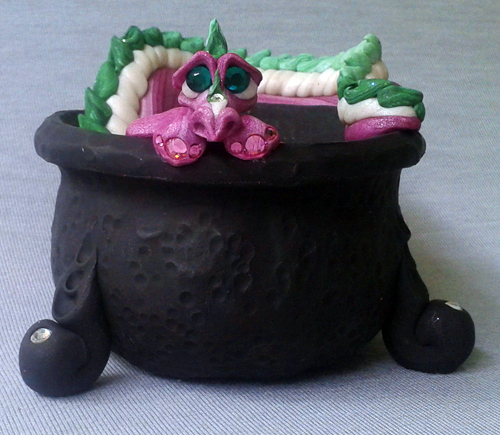 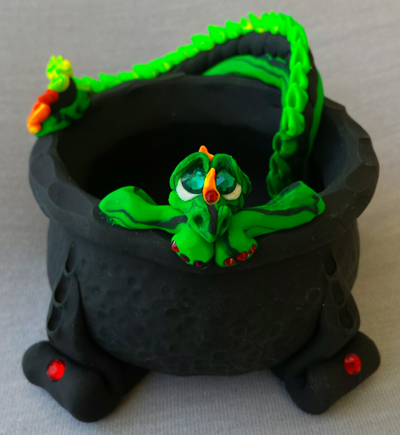 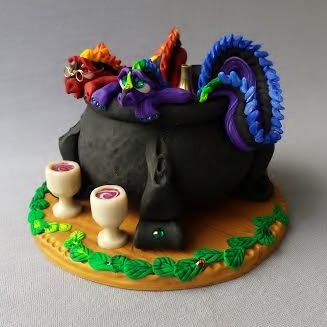 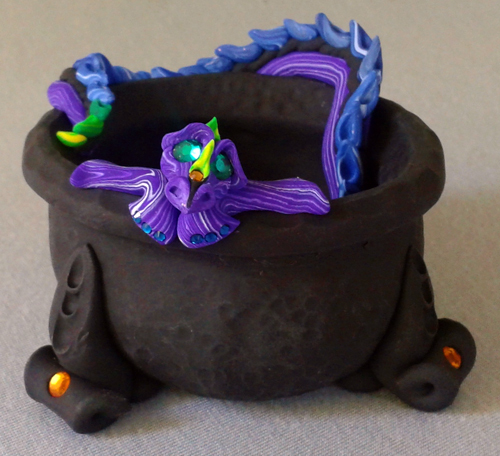 Here is a larger Cauldron with DOUBLE the dragon trouble ~ A Custom Request from a very clever client! 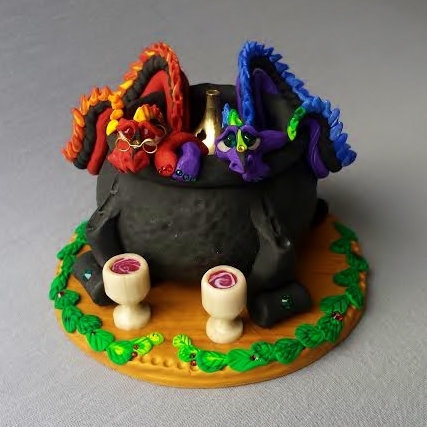 This design has a base and two little Wine Goblets as well.